Software architecture is a massive multidisciplinary subject, covering many roles and responsibilities, which makes it challenging to teach because so much context is required for every subject. It's also a fast-moving discipline, where entire suites of best practices become obsolete overnight. The title "Software Architect" frequently lands in the top 10 in annual surveys of best jobs, yet no clear path exists to move from developer to architect. 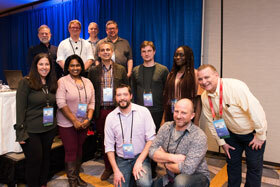 The O'Reilly Software Architecture Conference aims to supply the knowledge needed to progress on that path. As with all O'Reilly conferences, training is only one facet of the event. The conference will happen in the context of a larger conversation where the big ideas around software architecture are explored and the role of software architect in today's world is further defined. Software architecture plays a key role in the success of any business. 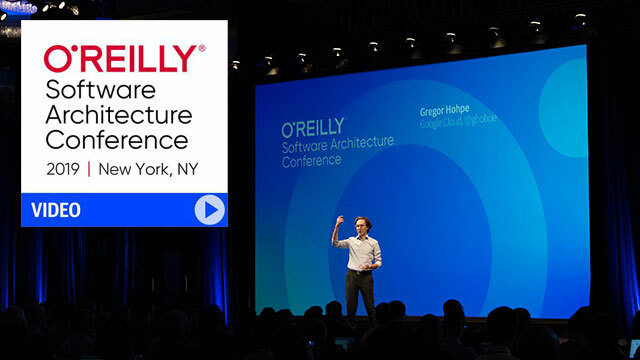 If software architecture plays any part in your job—and in today's world it most likely does—then you won't want to miss the O'Reilly Software Architecture Conference. 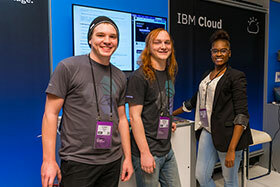 Hundreds of Software Architects, Tech Leads, Senior Developers and Engineers, CTOs and CIOs, and a wide range of other people who work to serve their organization's IT and business needs come together at this event to learn, network, and share experiences. 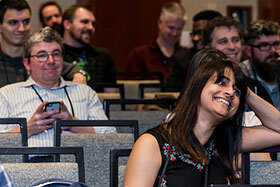 At the Software Architecture Conference, you'll immerse yourself in learning. 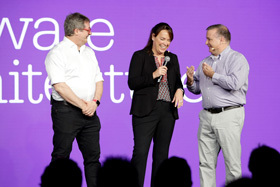 The speakers are some of the brightest minds in the industry—people who work with the same technologies you use and have hard-earned experiences to share. 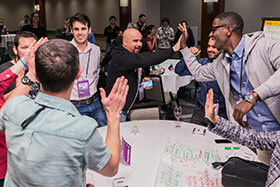 The event offers a variety of forums for learning, from sessions with experts to the "hallway track" between sessions where you can informally connect and share questions, knowledge, and perspectives with their peers. Chris Guzikowski joined O’Reilly Media as senior content director in 2018. He is the co-chair of O’Reilly’s Software Architecture Conference. He also manages the acquisition and development of content in software architecture and software development. Chris has been working on technical content and technology marketing for more than thirty years. He and his family reside in suburban Boston, MA. Neal Ford is Software Architect and Meme Wrangler at ThoughtWorks, a global IT consultancy with an exclusive focus on end-to-end software development and delivery. He is also the designer and developer of applications, instructional materials, magazine articles, courseware, video/DVD presentations, and author and/or editor of 6 books spanning a variety of technologies, including the most recent The Productive Programmer. He focuses on designing and building of large-scale enterprise applications. He is also an internationally acclaimed speaker, speaking at over 100 developer conferences worldwide, delivering more than 600 talks. Check out his web site at nealford.com. He welcomes feedback and can be reached at nford@thoughtworks.com. M​ary Treseler is vice president of content strategy at O'Reilly Media, ​where she leads an editorial team that covers a wide range of topics from DevOps to design, and the chair of O'Reilly's Velocity Conference. Mary has been working on technical content for 25 years, acquiring and developing content in areas such as programming, software engineering, and product design. A Boston native, Mary lives​ oceanside​ ​in Padanaram, MA. Luca Mezzalira, Massive Interactive, Inc.